Looking for info or websites on 2 items in attachments. One is a button; size in between quarter and fifty cent piece. Would seem it’s a coat button. American eagle emblem on front and words on back. Can’t make out wording. Second is lead tag (1 3/8" x 3/4") to be mailed back to Norden Laboratories in Nebraska. Front says Livestock Products under 2 cow heads. 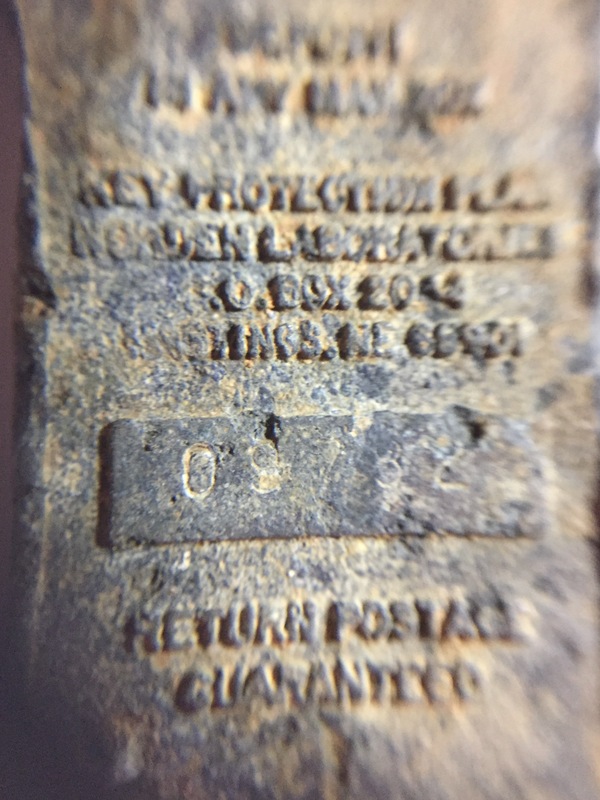 Back has address with guaranteed postage info. Any input would be cool. Thank you. Edited 1 time(s). Last edit at 03/01/2017 11:19PM by Jimbola.